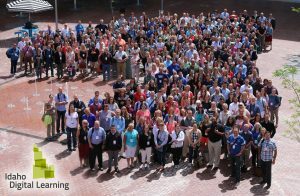 Join the Idaho Digital Learning professionals who are working to provide solutions, options and opportunities to students, schools and districts across the state. At Idaho Digital Learning, our staff has a positive impact on the lives of Idaho students as we consciously keep them at the heart of every decision we make. Idaho Digital Learning employees are committed to delivering a high-quality, technology-based education that equips students with the tools and knowledge they need to succeed.